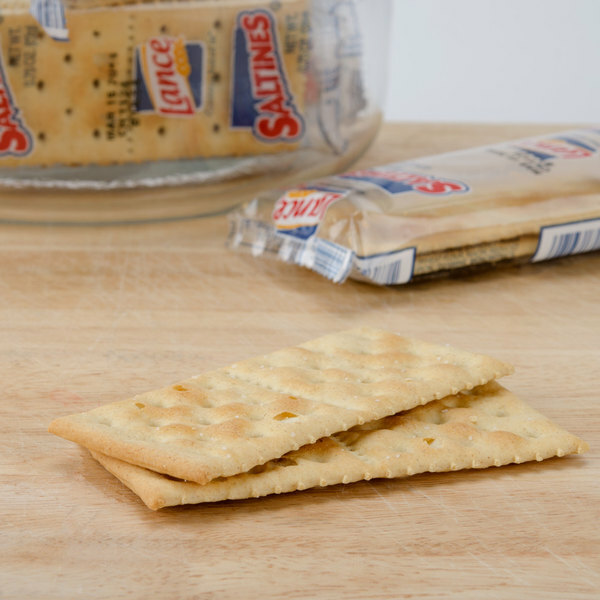 Fulfill all of your guests' snacking needs with these Lance saltine crackers! Lance has provided satisfying snacks with wholesome ingredients for over 100 years, offering consistent, innovative, and delicious snack varieties. For snacks of superior quality and timeless taste, offer Lance crackers at your concession stand, extended stay facilities, or event! Saltine crackers have an old-fashioned, time-honored appeal. Their mild texture, light and flaky consistency, and salty taste make them the perfect accompaniment to soups. These versatile crackers can also be served with hearty chilis, stews, dips, and more. Offer them with gourmet cheese spreads at your banquet or catered event for a satisfying appetizer. Made with natural, wholesome ingredients, they're free from trans fats, cholesterol, and preservatives. A must-have for your restaurant or cafe, they're also the perfect on-the-go snacking option with classic taste! See nutrition facts for more information. I made some chili and we had some of this and they were good. And they tasted fresh not old at all. We eat them with all soups we eat. 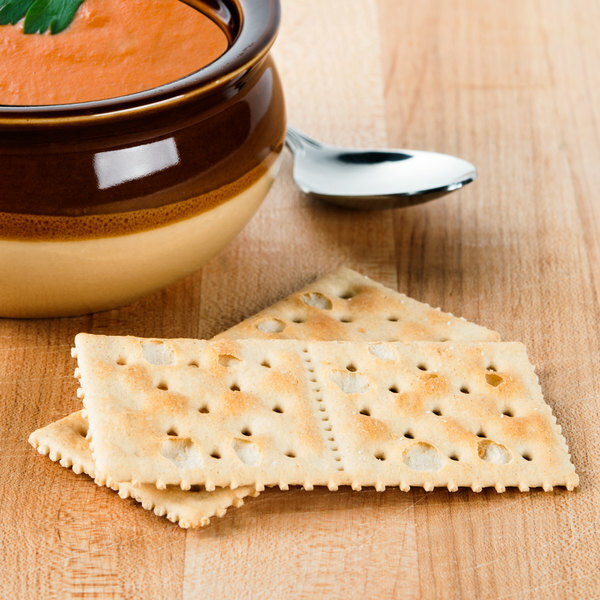 The lance saltine crackers are great for soups and as a snack as is. The pack of eight provides enough for a serving and the individually wrapped packages allow for portion control. 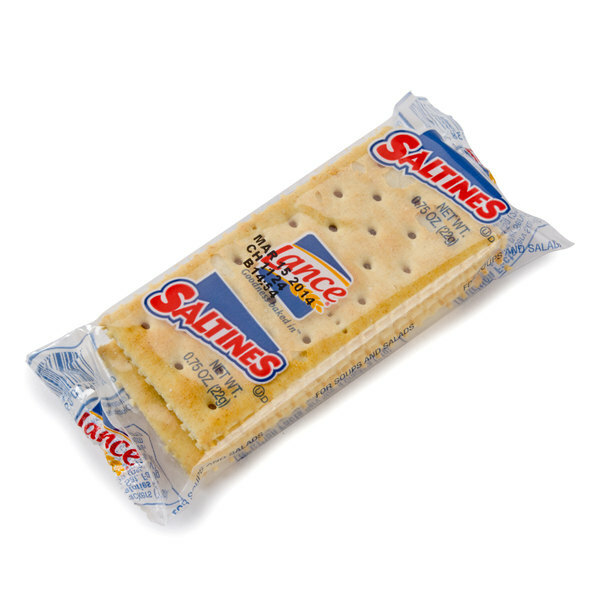 These Lance saltine crackers are great. They are made with wholesome ingredients to enjoy as a snack at home or on-the go and as a complement to soups and salads. Their crispy freshness is a joy. Excellent price for the crackers. We the item arrived I opened it and was very pleased. There was enough cracker to share with my job. They were very fresh as expected. These are good to serve with meals. They are convenient and easy to carry than bread. The lance name is a popular and well recognized brand.